I have to admit that the six-week break from sports that we had, which ended this weekend, was too long. After a couple of weeks spent with my macro and small prime lenses, I was itching to get out the telephoto again. 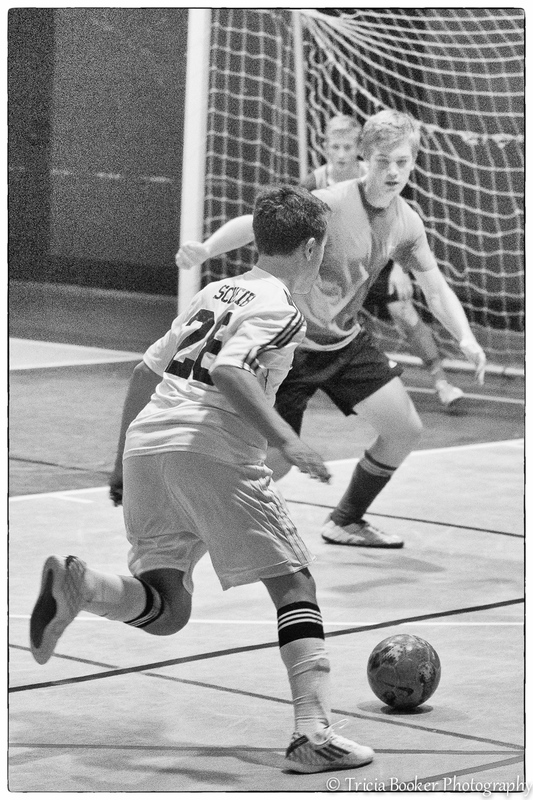 Cameron returned to the field (court) Sunday evening for the first Futsal game of this winter season, playing for the Clarke Kents team in the Shenandoah Valley Christian Academy League. 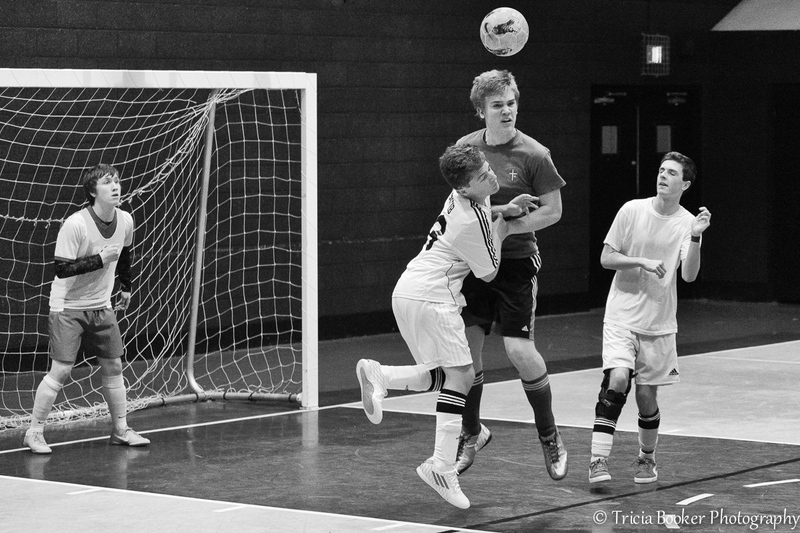 Futsal is played indoors in a gymnasium and is a fast-paced soccer-like game with rules that are similar to traditional soccer. While the action is much closer than on a huge outdoor field, which is great, the lighting leaves a lot to be desired. Last night I took the Sony A7 and the FE 70-200mm f4 out for a spin. I purchased this lens in December and have only used it sparingly, so I wanted to give it some attention. The A7 isn’t known for its autofocus speed, but I’ve had good luck with it photographing horses, and I thought this would be a good test to push the envelope. I played with a variety of settings during the two 25-minute halves, from manually setting everything to trying the Sports mode, and just had fun experimenting with stop-action and panning. After deleting a fair number of images I’d missed either in composition (no ball in the frame, for example) or focus, I found a few I liked. The gymnasium is poorly lit, and the colors the players wore clashed terribly, so I decided it was time for black and white. The results are adequate, but noise (grain) was a challenge in post processing. The Sony A series includes the A7s, which is highly regarded for its high ISO capabilities. I think that would be the ideal camera for this type of job. And, since I don’t have one of those (yet! ), for improved images during next week’s game I’ll have to break out the Nikon equipment, which I generally use for indoor equestrian events. 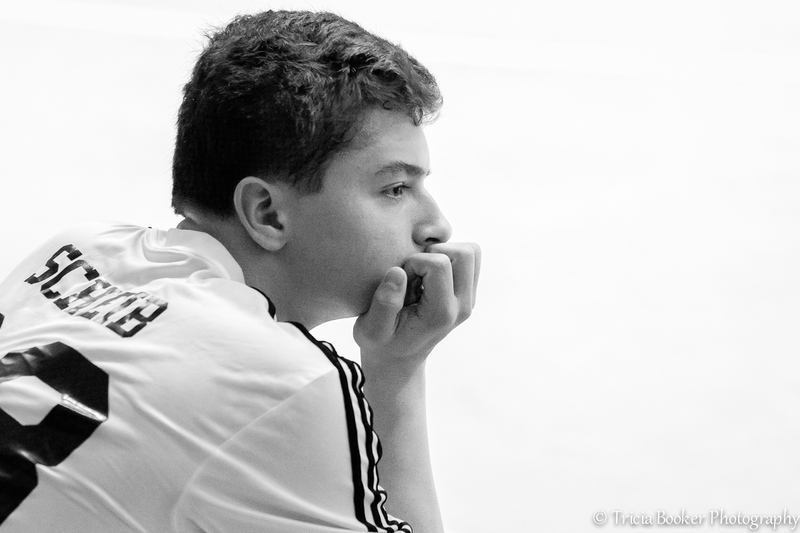 In any case, it was fun to get back into sports photography and play along with the boys. Excellent action shots. I really like the grainy one – has what I call the newspaper/sports page quality. Thank you, David! I liked the grain on this one, too. I hadn’t thought of the sports page quality, but that’s exactly it!